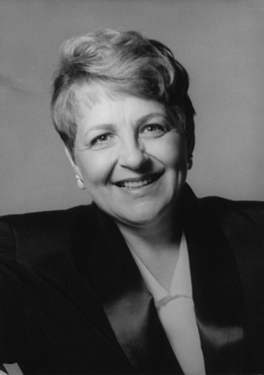 Mary Alice Stollak Choral Series | Santa Barbara Music Publishing, Inc.
Mary Alice Stollak, now retired, was the Director of Choral Activities for the Community Music School at Michigan State University, where she was the Founding Director of the MSU Children's Choirs. Before taking this position she was Associate Professor of Music at the University of Michigan-Flint. For 10 years she was Director of Choral Activities for the Haslett Michigan Public Schools and served as the choral director for the National High School Music Institute at Northwestern University for nineteen years. Stollak has appeared as festival guest conductor and workshop presenter in twenty-two states as well as Sweden, Germany, Italy and Argentina. Her choirs have frequently appeared at National, Division and State ACDA conventions. Under her direction, the MSU Children's Choir performed at the 6th World Symposium on Choral Music in August of 2002 as the official U.S. representative. The MSUCC recently were contributors to William Bolcom's monumental Songs of Innocence and Experience on the Naxos label, led by American conductor Leonard Slatkin with the University of Michigan choruses and orchestra: she was awarded a Grammy for participation in this epic recording. Ellen Taffee Zwilich's Symphony No. 4 "The Gardens" was premiered with MSU choirs, orchestra and MSUCC and is recorded on the Koch label. Stollak has prepared the choir for conductors Neeme Järvi and Gustav Meier, as well as sharing performances with Marvin Hamlisch, Marilyn Horne, and the Canadian Brass. Mary Alice Stollak served as President of the ACDA Central Division, ACDA-Michigan and the Michigan School Vocal Music Association. She was the 2001 recipient of the Maynard Klein Award for Lifetime Achievement and Dedication to the Choral Art, given by the American Choral Directors Association of Michigan and the YWCA Diana Award for her contributions to the arts in mid-Michigan.